Hi, I am new to GMATClub. I took GMAT real exam in last month. But after 3 months serious preparation I got only 580(V-22,Q-48). Please suggest me how to approach. 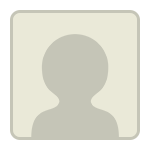 Originally posted by Noshad on 26 Mar 2019, 01:08. Last edited by Noshad on 26 Mar 2019, 08:20, edited 1 time in total. What material have you been using till now? How many official mocks have you taken? Also mention the scores of the mock you if you have. 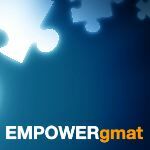 ESR of your official GMAT can help too. As per gmatclub rules , it is prohibited to share copyright material . 1) What type of study routine were you following? How many hours did you study each week? Although I do not know too much regarding your previous study routine or score goal, I’m happy to provide some advice on how to improve your GMAT score. Since you recently scored a V22/Q48, it’s clear that your verbal score is bringing down your overall score. However, since it would not hurt to improve your quant score also, I’ll provide some advice on how to improve both your verbal and quant skills. Let’s start with verbal. Let’s say you start by learning about Critical Reasoning. Your first goal is to fully master the individual Critical Reasoning topics: Strengthen the Argument, Weaken the Argument, Resolve the Paradox, etc. As you learn about each question type, do focused practice so you can track your skill in answering each type. If, for example, you get a weakening question wrong, ask yourself why. Did you make a careless mistake? Did you not recognize the specific question type? Were you doing too much analysis in your head? Did you skip over a keyword in an answer choice? You must thoroughly analyze your mistakes and seek to turn weaknesses into strengths by focusing on the question types you dread seeing and the questions you take a long time to answer correctly. Regarding quant, you seem to be in much better shape. Since you recently scored a Q48, you clearly don’t need to go back and learn the foundations of GMAT quant; however, you still should engage in a process of linear learning and focused practice to find and fix any gaps in your quant knowledge. For example, if you are reviewing Number Properties, be sure that you practice 50 or more questions just from Number Properties: LCM, GCF, units digit patterns, divisibility, remainders, etc. As you do such practice, do a thorough analysis of each question that you don't get right. If you got a remainder question wrong, ask yourself why. Did you make a careless mistake? Did you not properly apply the remainder formula? Was there a concept you did not understand in the question? By carefully analyzing your mistakes, you will be able to efficiently fix your weaknesses and in turn improve your GMAT quant skills. Number Properties is just one example; follow this process for all quant topics.